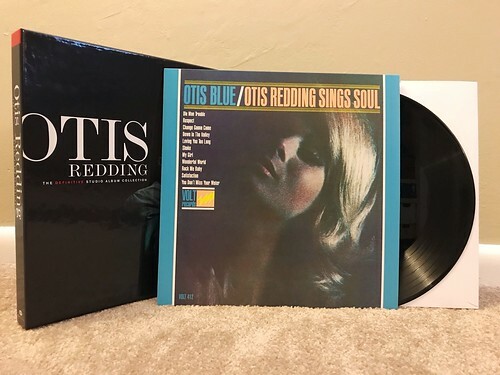 The third full length album from Otis Redding in this box set is the classic Otis Blue/Otis Redding Sings Soul. I already have another version of this LP, but I'll probably let that one go now that I have this box set. Otis Blue is pretty much nonstop hits from start to finish. Whether it's on his version of "Respect" (quite different than Aretha's, but just as good) or the undeniable energy of "Shake" or Otis' take on the Rolling Stones classic "Satisfaction" every song on here is just amazing. I would be hard pressed to pick my favorite Otis Redding album. He has so many songs that are all so incredible, but if you wanted to argue that Otis Blue is the best, that's an argument that I would take seriously. It's definitely one of my favorites.